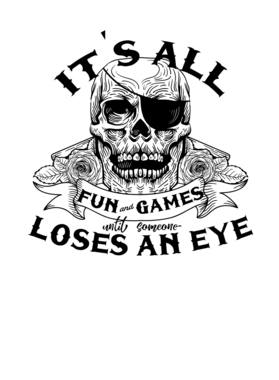 It's All Fun And Games Until Someone Loses An Eye Funny Eye Patch Pirate T Shirt comes on a Charcoal Grey 100% cotton tshirt. 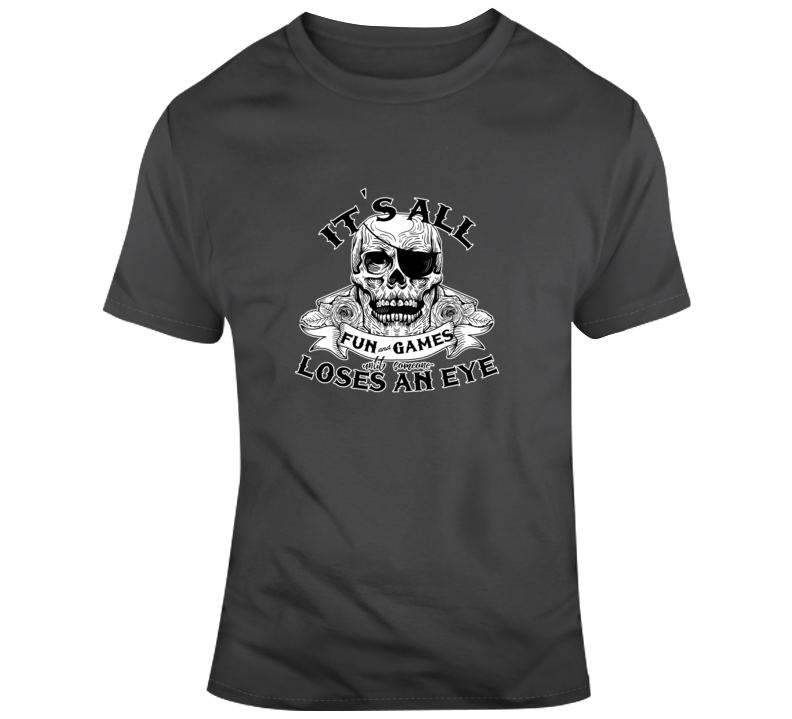 It's All Fun And Games Until Someone Loses An Eye Funny Eye Patch Pirate T Shirt is available in a number of styles and sizes. This Funny tshirt ships via USPS.